Hello! Today I have a quick swatch of a polish from one of the first UK indie boxes (put together by Hayley over at Danglefoot Nail Polish). 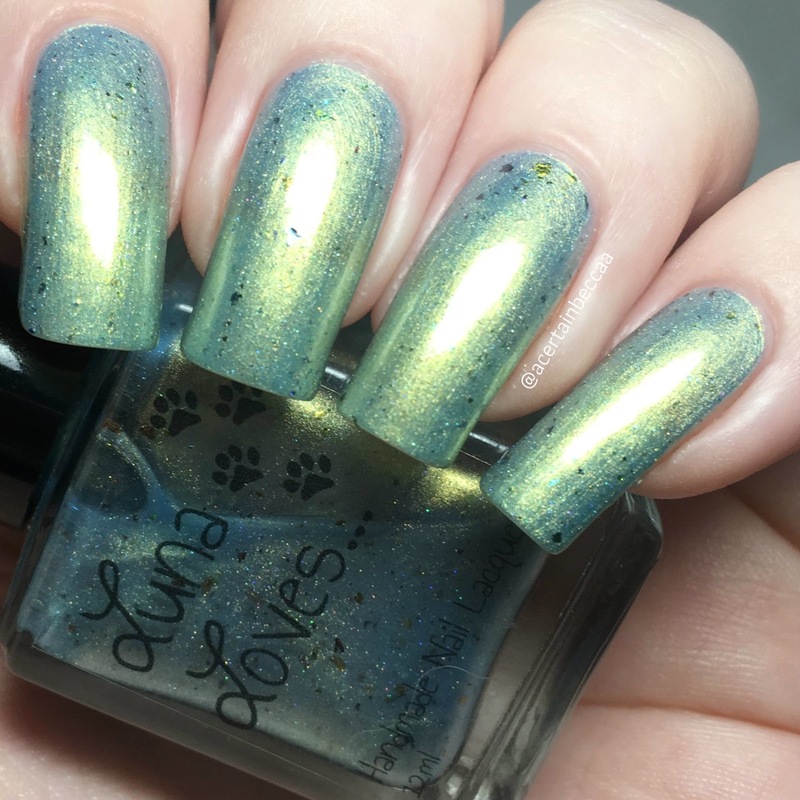 While sorting through my destash, I came across Luna Loves Lacquer 'Summer Droplets', and realised I'd never shared a swatch on here. So here it is! Read on for my full swatch and more info. 'Summer Droplets' is a shimmery blue/green base with subtle holographic and various coloured metallic flakes. It has a smooth and easy to apply formula, though does start off sheer. I could still see my nail line fairly well after my second coat, so added a thicker third to get it completely opaque. Below is three coats with topcoat. What do you think? I'm glad this built up so well on the third coat, as I think it's quite pretty! It's definitely a very unique polish. Unfortunately this was an exclusive to the UK indie box at the time, and Luna Loves Lacquer is no longer running. I do love looking back and appreciating older polishes though - you never know when they'll pop up in destashes!